Home › News & Articles › News › We have a winner in our PIPA Vandenabeele quiz! We have a winner in our PIPA Vandenabeele quiz! Specially for this occasion, PEC was giving away none other than a youngster from a brother of the iconic PEC breeder Porsche 911. 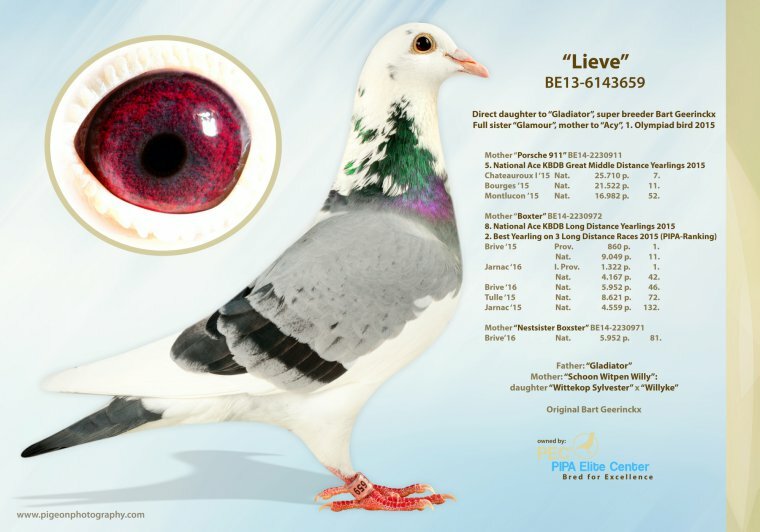 In addition, this bird is a grandchild of BE15-4013198, and she is in turn a daughter of Fyther x Gloria, making her a 100% Vandenabeele bird. It was this Vandenabeele hen, paired to 'Son Nikolaas', that bred BE16-4129169, an excellent racing hen. She won for instance an 11th Nat. Libourne 3,950 p., a 59th Nat. Jarnac 5,117 p., and a 110th Nat. Argenton 22,712 p., and she was the 2nd best yearling over three races in the long distance in 2017! In other words, this is a top quality bird related to such illustrious names as Geerinckx, the PEC, and of course Gaby Vandenabeele. This is his pedigree. We have had a wide range of answers coming in, and just over 70% of all the bets were lower than the eventual record-breaking amount of 6 582 200 euro. 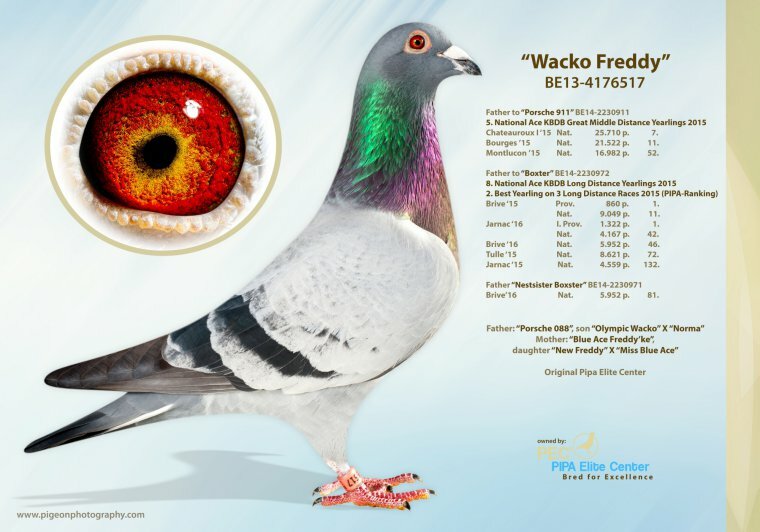 Cédric Van Steerteghem from Ercin (France) will soon be welcoming this bird from the renowned PEC breeding loft in his own pigeon family! Of all 1458 participants, his guess came closest to the official result of this historic Gaby Vandenabeele auction. Congratulations Cédric, enjoy your gift!